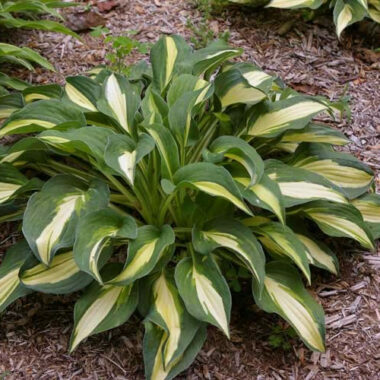 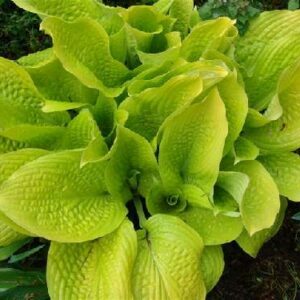 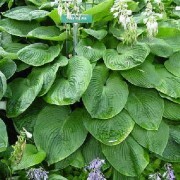 Large: (30″ high by 70″ wide), cascading mound of blue-green foliage; leaves 16 1/4″ long by 10″ wide (17 vp); slight corrugation, and slight rippled margins; broadly oblong-ovate blade shape. 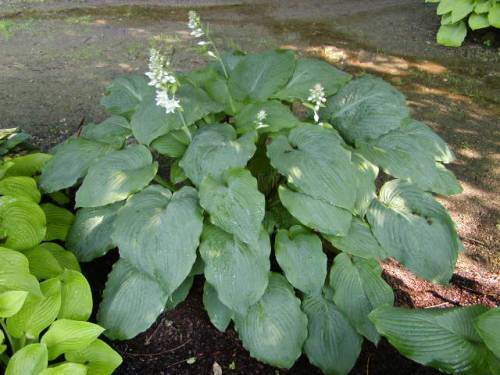 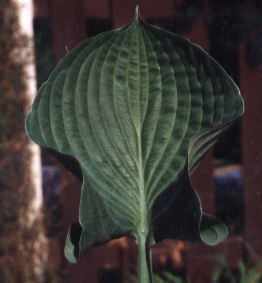 Abiqua Parasol’ Hosta is a sport of ‘Elegans’. 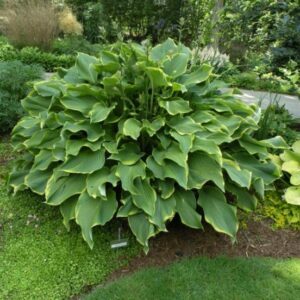 Large arching mound, with blue-green leaves. 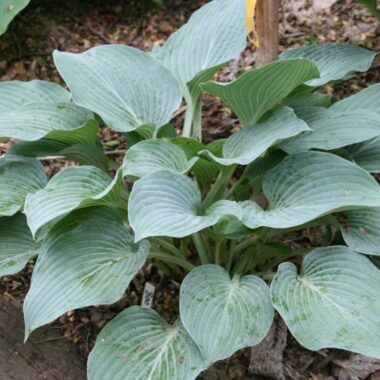 The leaves have ruffled margins, cupped downward, and corrugated. 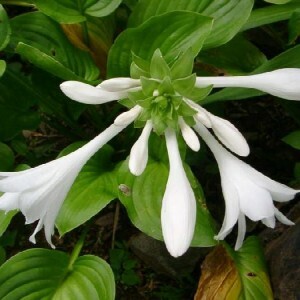 Flowers are bell shaped and near white in color. 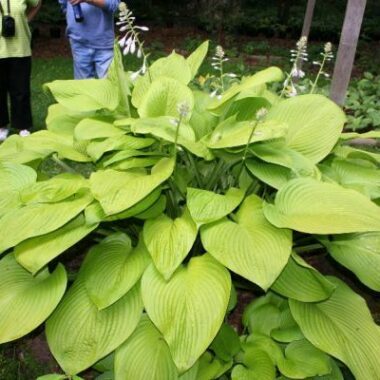 Bloom time is July.